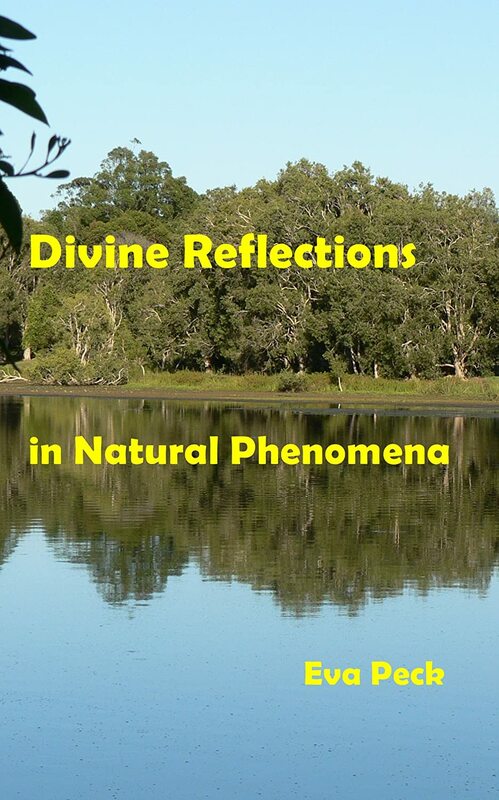 The book focuses on various natural phenomena and relates them to spiritual realities. The main premise is that through nature, we can encounter the Divine. The book encourages readers to think wider, become open to new possibilities, and see the physical world from a fresh perspective. Eva Peck lives in Australia, but having spent a number of years in Europe, USA, and Korea, she writes from an international perspective. Her books usually contain spiritual, Bible-based insights. In addition, she has also graphically designed, created and published several books featuring her 91-year-old father’s art, photography and poetry. She lives with her husband, who has either co-authored or edited her books. She has created her father’s website, www.henrydegen.com as well as her own website www.truth-and-beauty.org. Her books and publishing activities are featured on www.pathway-publishing.org. Author Eva Peck’s ‘Divine Reflections in Natural Phenomena’ is an inspiring look at nature, spirituality and the world around us. Peck’s eloquent and fluid writing style allows the reader to become immersed in her insights. Her observations and ability to communicate beauty and truth so effectively draws you into a state of peace and tranquility. The parallels explored in regards to the beauty of nature and that of spirituality provide thought-provoking and intimate connections to our being. This is an excellent look at spirituality and nature without having to subscribe to any particular religion. Highly recommended!